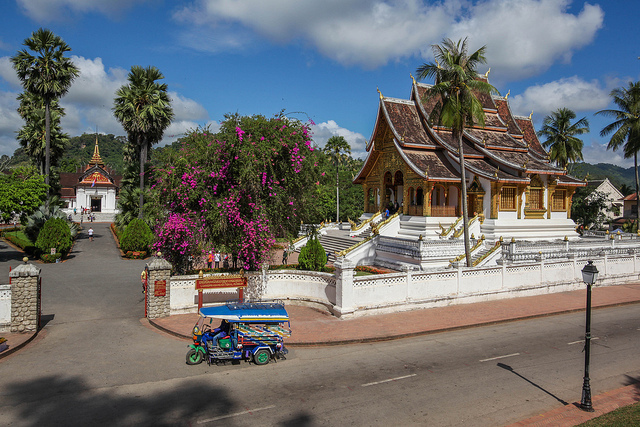 Luang Prabang is a small city in central Laos, that is situated at the confluence of the Mekong and Nam Khan rivers. 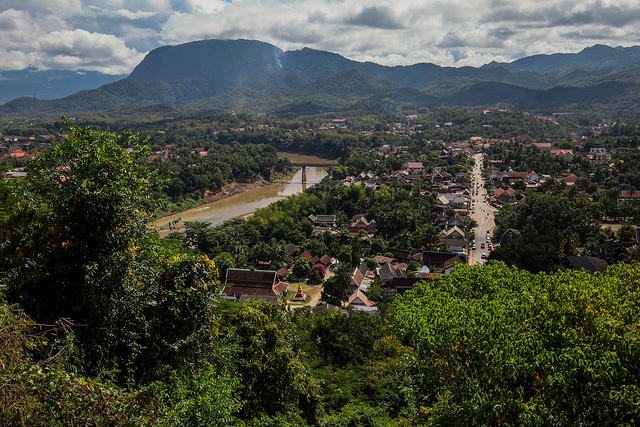 It was the royal capital of Laos until 1975. 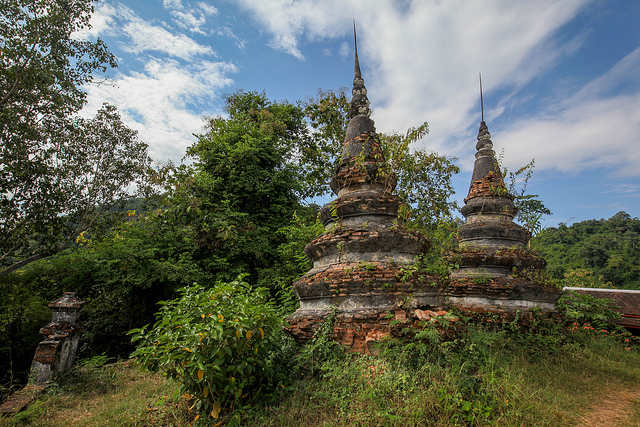 It’s also designated an UNESCO World Heritage Site. 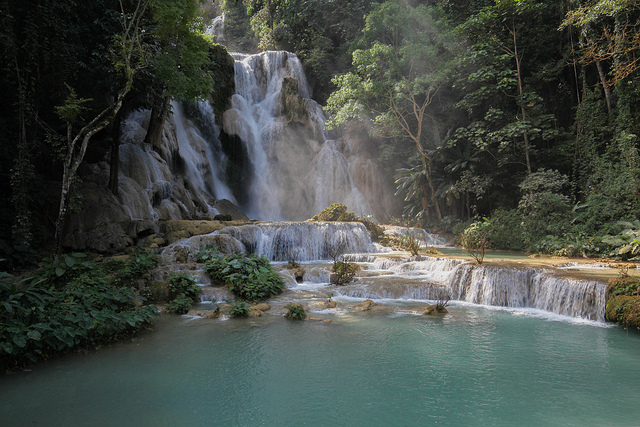 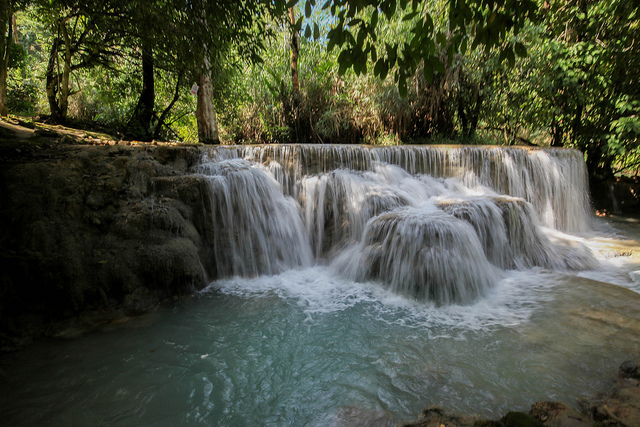 2-3: The Kuang Si waterfalls are a wonderful relaxing escape from the nearby town. 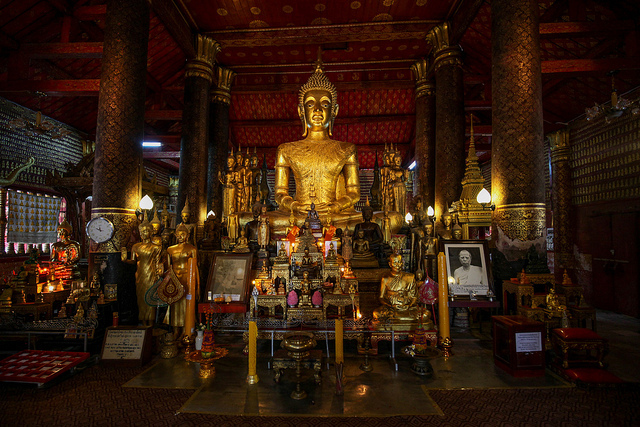 4-5: Buddhism is an integral part of Lao society, and the many temples are adorned with dozens of statues. 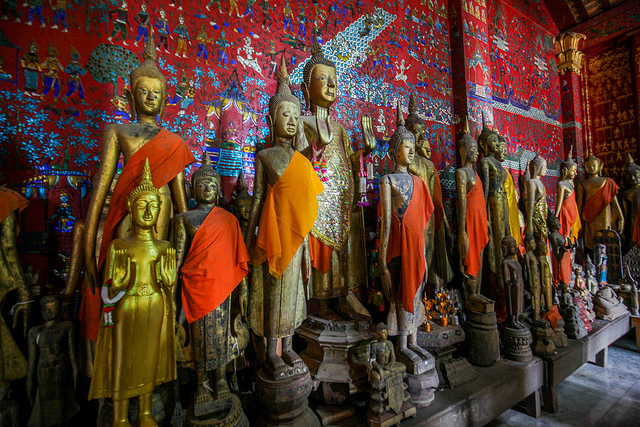 6: If you are willing to wake up early enough (6:00am), respectful visitors are encouraged to participate in the alms giving ceremony. 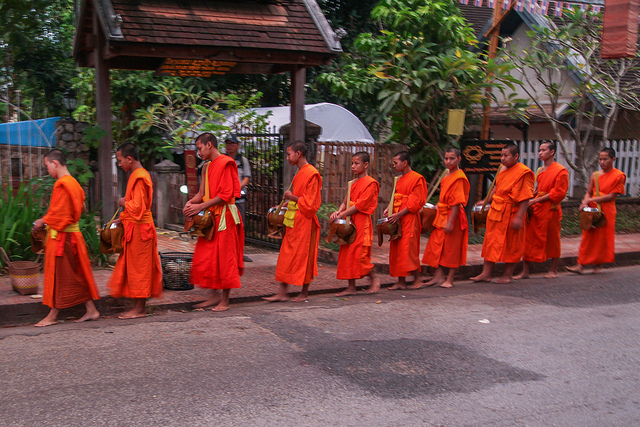 Each monk collects sticky rice for their daily sustenance from the many participants seated along the road. 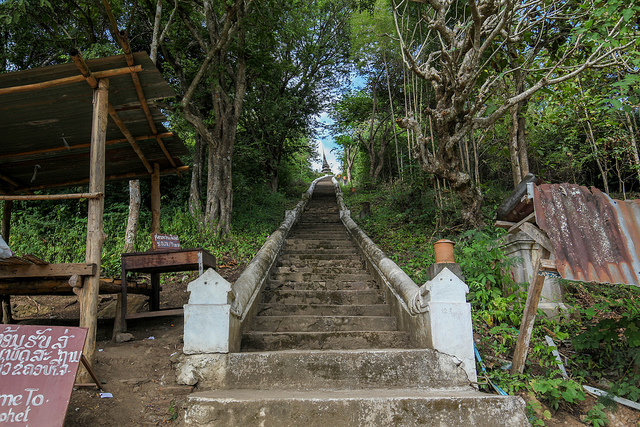 7-9: Mount Phu Si is located in the city, and has great views of the town and nearby Mekong river. 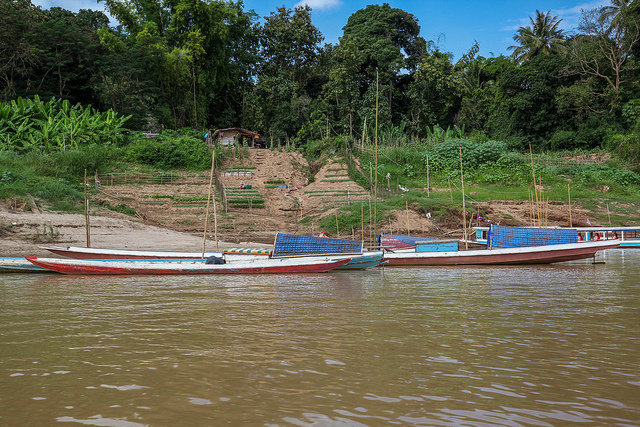 10: Long tail boat rides on the Mekong are a great way to soak in the surroundings, and see local life on the river.